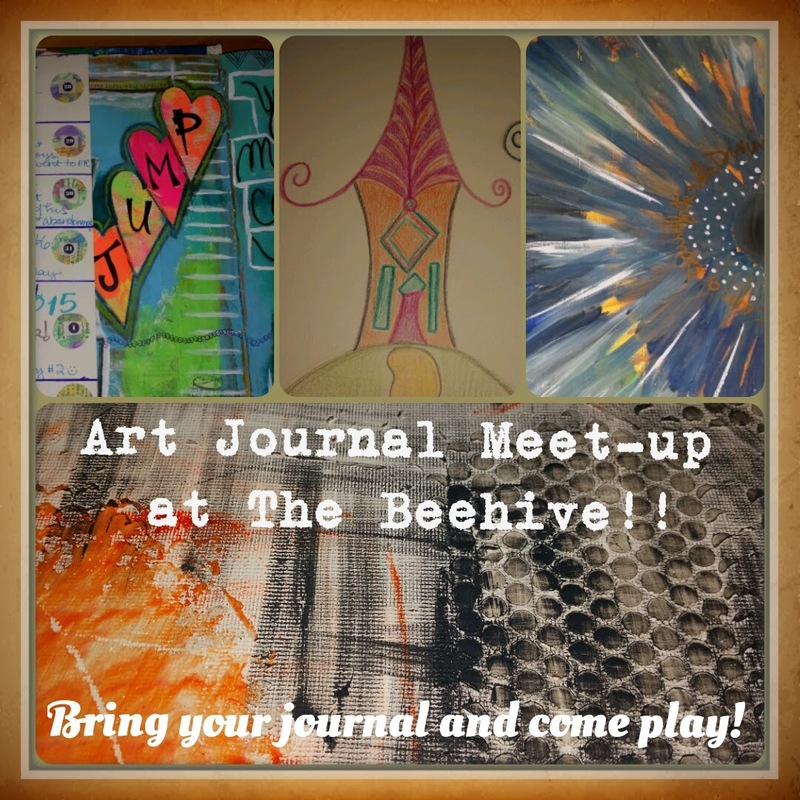 Monthly Art Journal Meet-ups at The BeeHive start this month! Feel free to pop in any time between 3 and 7pm... no pressure to be here the whole time. It's an Open Studio where we can share what we've been working on and gather some inspiration too. Don't be shy - whatever level you are at - you are very welcome. There are lots of supplies to play with (donations appreciated) and even a variety of materials available for sale. Bring your journals and a friend or two... see ya there! The BeeHive studio is at 19 E. Main Street in Warner.